To design a food box identity for a delivery service that would appeal more to children of the 80s and 90s who don't always have the time or desire to cook things. The recipes and ingredients of this box set come from foods that harken to the days of Saturday mornings and afterschool specials. Through the quirky illustrations based on the box’s actual contents, the complete package will move any buyer to give in to their childish cravings to taste a bit of their youth once more. 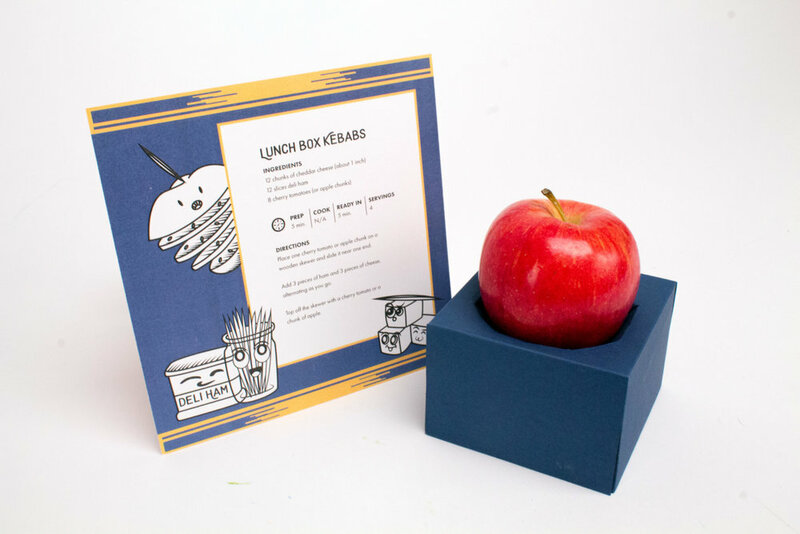 Toontown Chowdown's mascot was inspired by the various lunchboxes that were covered with images of cartoon characters, and the food box itself is designed to emulate a lunchbox as well.